Valves are linear to lanceolate with rostrate apices. Striae are irregularly spaced and do not align from opposite sides of the valve where they meet at the central sternum. 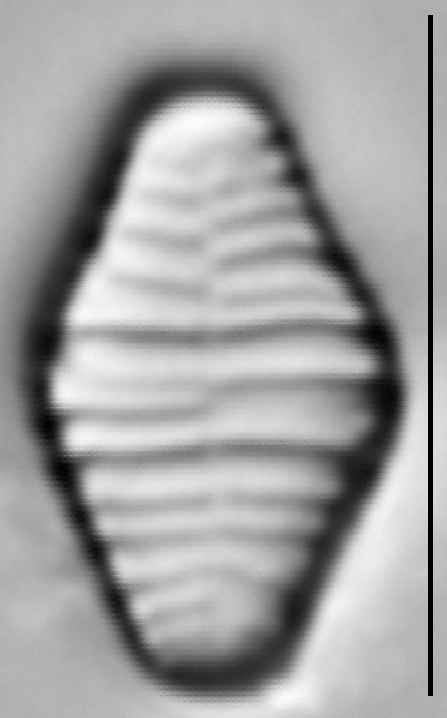 The striae appear relatively thick, but areolae not visible in LM. Large apical porefields are present at both ends of the valve. Length to breadth ratio decreases with increasing valve length. 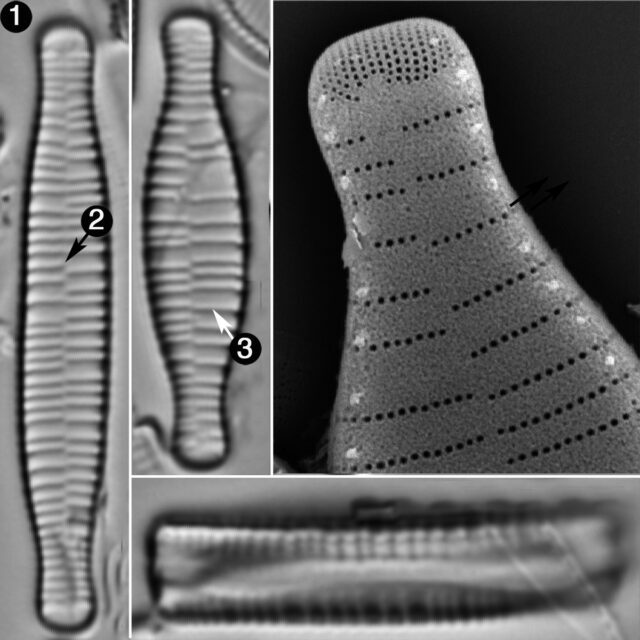 In SEM, the striae are seen to be uniseriate. 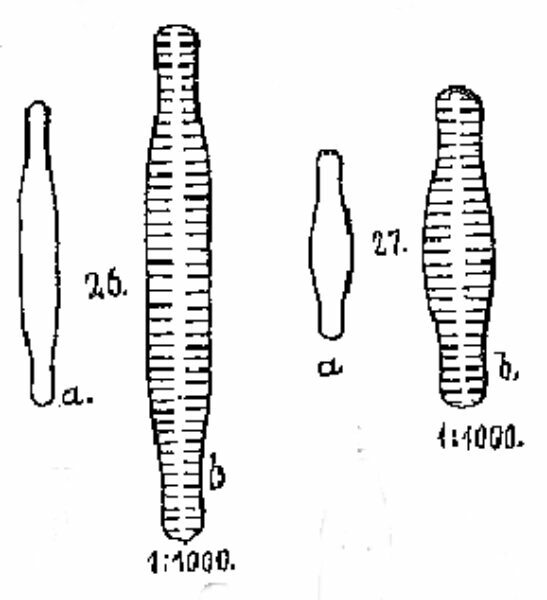 Two rimoportulae are present, one at each apex of the valve. Each rimoportula is aligned with the striae. Small marginal spines are present on each interstria. Spines continue around the valve apex, and are positioned on the apical porefields. Mayer, A. (1917) Beiträge zur Diatomeenflora Bayerns. Part I, A. Bacillariales aus dem Fichtelgebirge und angrenzenden Gebieten. B. Bacillariales aus dem Bayrischen Walde. Denkschriften der Koniglich-Baierischen Botanischen Gesellschaft in Regensburg 13: 1-99, pls. 1-8. Valves linear with rostrate ends. 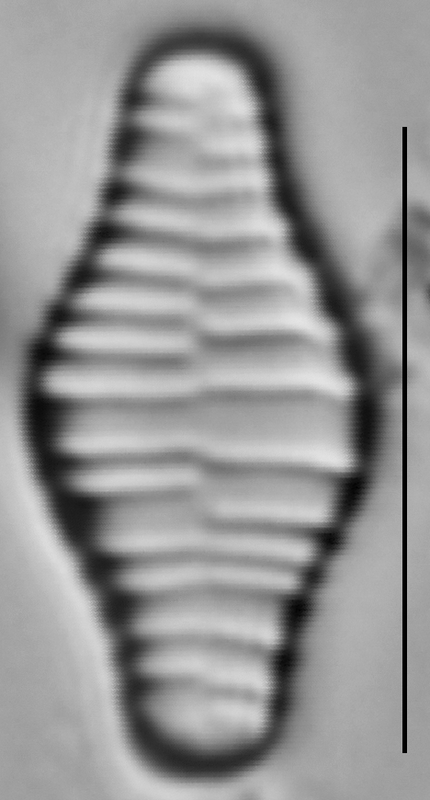 Striae number 11-15 in 10 μm, and are irregularly spaced. Striae are offset where they meet at valve's narrow central sternum. Porefields are present at both apices. Two rimoportulae are present.